Last month Growing Works got exactly what it needed too, thanks to the generosity of David Martinez with Marz Farms. We contacted David early on because he was farming the land behind the Growing Works nursery site, and we wanted to let him know what was being proposed. 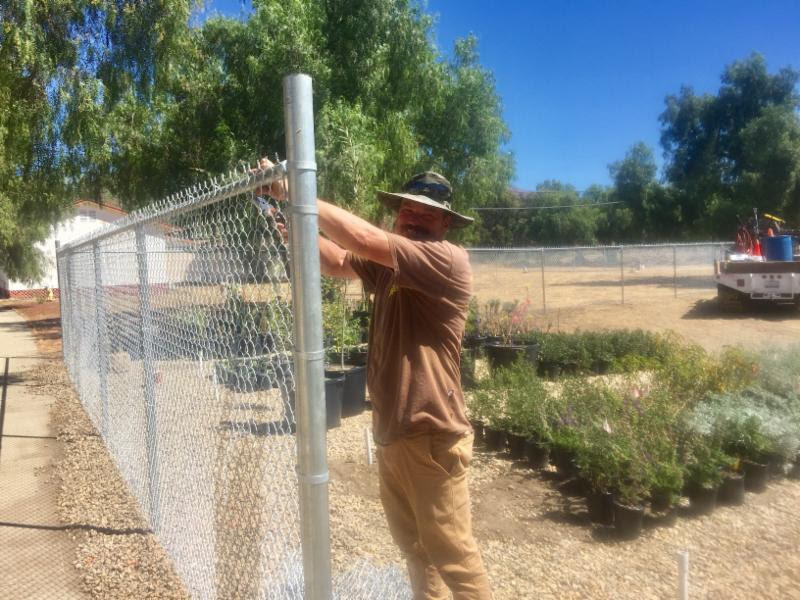 As it turned out he was no longer farming the neighboring land, but he was so supportive of the mission of Growing Works that he offered to fund one of our biggest needs, a fence. Now we’re over-the-moon pleased to report that the fence was installed last week by the friendly Fence Factory guys and our nursery’s plants are secure, thanks to David. 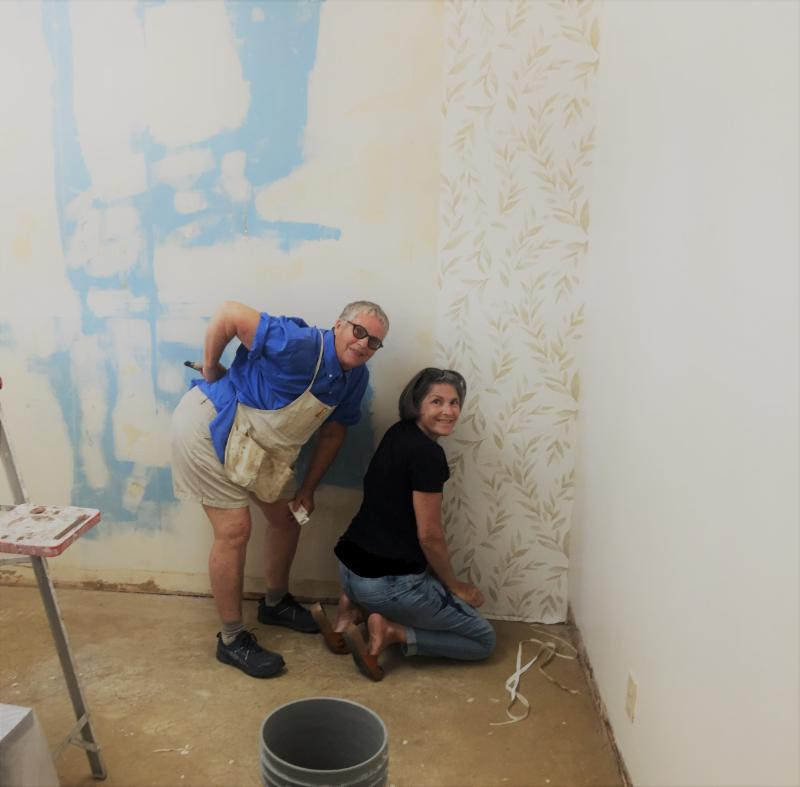 We also were fortunate to have a small crew of County employees, friends, and relatives of friends, volunteer to install wallpaper and vinyl flooring in what were once dusty storage rooms. Their volunteering made what will now be the nursery sales offices, a welcoming place for business. 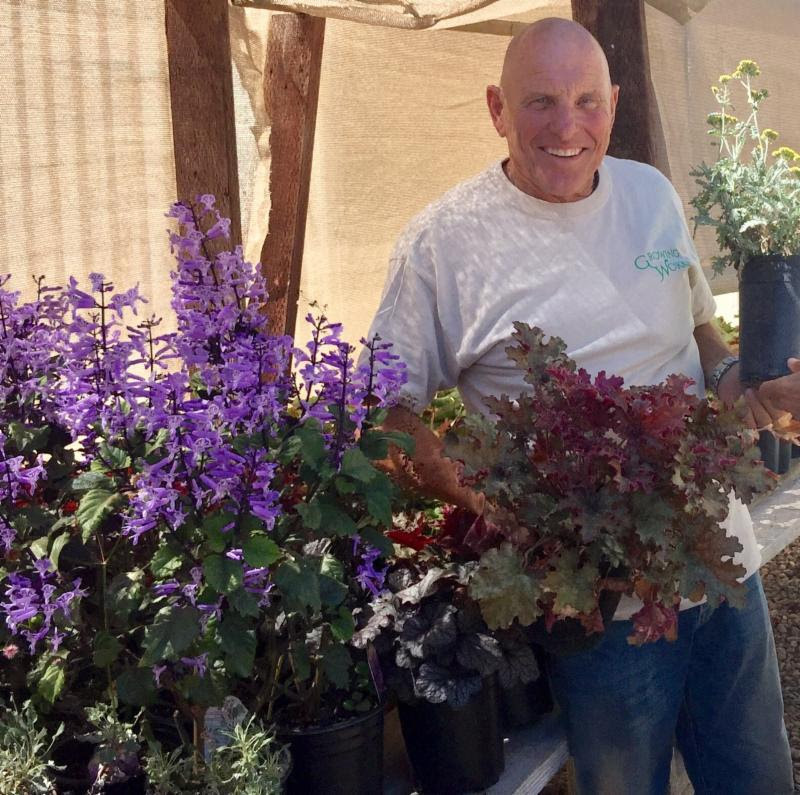 Of course no one has given more of their time than our volunteer Nursery Developer and Manager, Dennis Perry, who we discovered through NAMI, the National Alliance on Mental Illness. NAMI is the go-to organization for families of loved ones who have mental illness. In support of NAMI, Growing Works has formed a walk team for their annual walk along the Ventura Promenade. 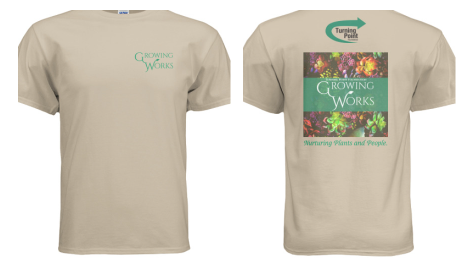 Come out and join Dennis and our Growing Works team on October 13th and get your FREE Growing Works tee shirt. Everyone can participate by walking, contributing and even virtual walking! 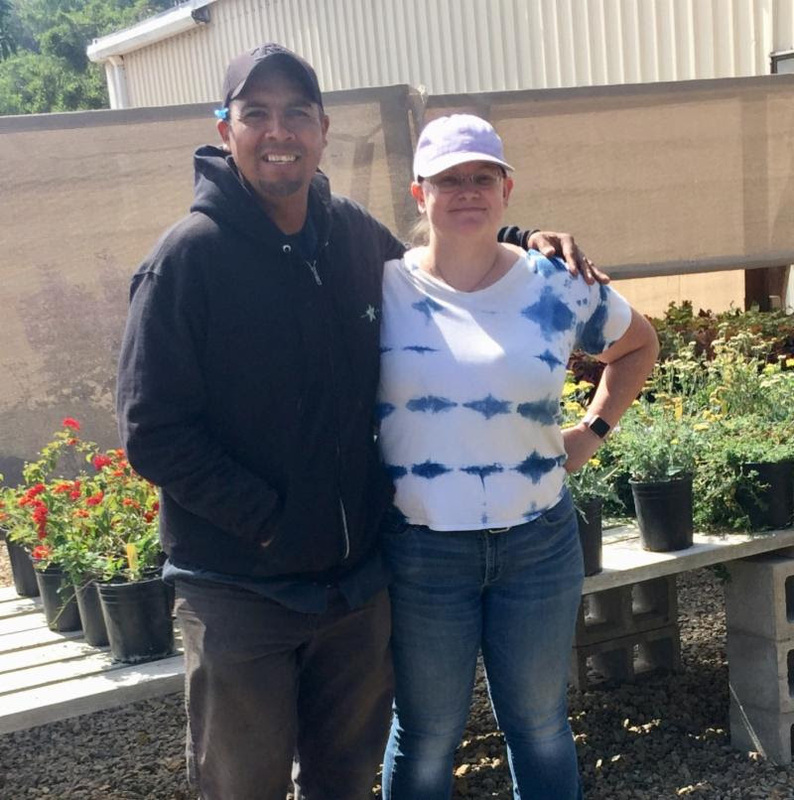 With the amount of nursery plants about to grow ten fold, we’re happy to announce Turning Point Foundation has hired two experienced assistant nursery managers to assist Dennis, Marie Tyler and Antonio Sanchez. Marie has been working hard setting up the computer system, inventory lists, and plant labeling, while Antonio brings his depth of knowledge of the native plant business. Both provide expert care of the nursery's plants and helpful guidance to Growing Works employees, which is exactly what we needed! 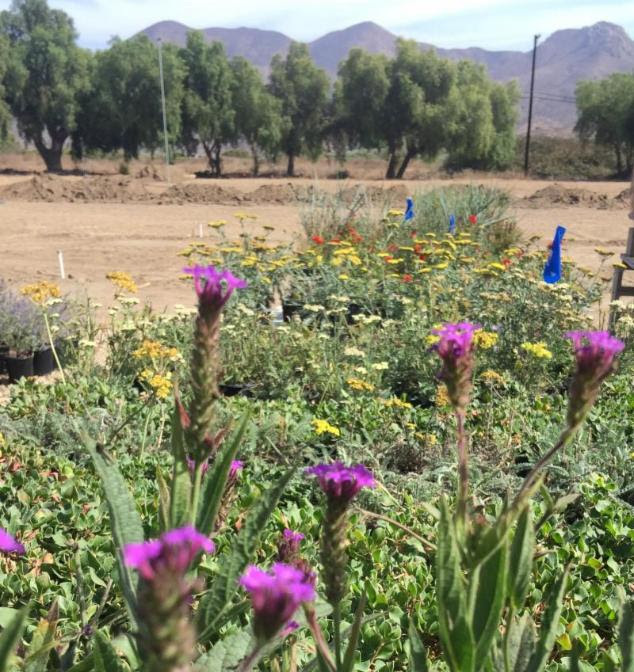 So much is happening at Growing Works, and so much more is coming thanks to a matching grant from the Santa Monica Mountains Conservancy. The grant will fund the costs of adding a rainwater capture system and a solar powered water filtration system for the recycled water the nursery will use. This will enable the nursery to operate in a restricted water area, growing quality plants in a way that will make us a model of environmental sustainability, exactly what we hope to be!